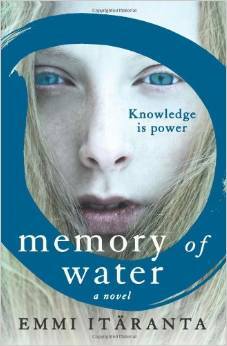 A novel of a future where water is scarce, and tightly controlled by an oppressive military. It's not your average dystopian novel though; it's more meditative than action-packed, and its focus is more on the characters - their motivations and choices - rather than the world itself. Despite that, it's still a page-turner. I loved the tone of the writing - it's lyrical and elegiac. If you like dystopian books, but are looking for something that doesn't follow the usual conventions, pick this one up.